An exploration into the healing power of connection and how to cultivate those relationships with your clients/students. Both this training, and the optional mentorship apply to the Avahana School 300hr Teacher Training Program that qualifies 200-HR RYTs for a 500-HR Avahana Certification, and can be registered with Yoga Alliance at the 500-HR level. This training is a unique offering for teachers of yoga to go deeper into the heart of healing with their clients and students. It is designed to empower you with the skills to confidently work with yoga students and clients in a compassionate and healing way. Self understanding, compassion and care. Tapping the inner wellspring of intuition. Recognizing and honoring both someone's humanity and divine potentiality. How to empower your students/clients with individualized, supportive healing practices that they will be inspired to do. Pointing your client/students back to their own inner-wisdom and inspiring them to remain empowered in their own healing process. 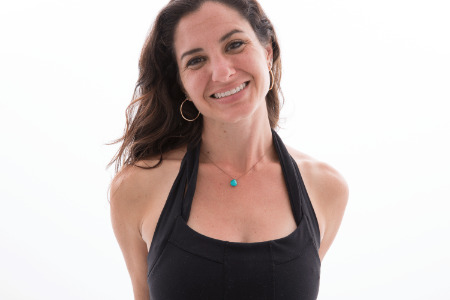 Be led in a therapeutically oriented practice including asana, pranayama and meditation. Engage in individual/group practices/exercises that will help you to experience, embody and personalize the teachings. Have dynamic group discussions on a variety of teachings around creating healing connections. anything else that is alive in your heart relevant to your own path or offeings of yoga. Provide case studies for 3 different clients/students where you have/are using therapeutically oriented yoga. We will read through your case studies and provide input from our experience/perspective. Complete at least 8 hours of service work in your community (anything that inspires you). Write a short report on: What you chose to do. Why you chose that specific project. How being connected with your community for the greater good impacted you. Your overall experience of the project. Service Project - simply, fully your dedication to connect with your community for the benefit of all!